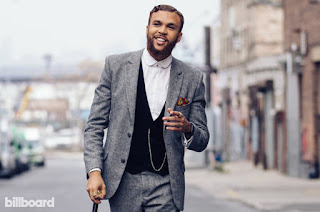 Nigerian-american musician jidenna always makes a statement anytime he visits nigeria. Whether it’s via his clothes or an all-round panache, the chief always manages to get your attention. True to his nature, jidenna (surprisingly decked in a tracksuit) was spotted making his arrival into lagos surrounded by stern looking security men dressed in suits.